Eritrea, colonized by Italy in 1890 and taken over by the British in 1942, was federated to Ethiopia under US pressure in 1952, then annexed by it in 1962. For 30 years, the Eritrean people have fought for freedom, facing an enemy armed first by the US and later by the Soviet Union. Villages have been bombed and burnt out of existence, defenceless peasants brutally massacred, and the most modern weaponry turned on refugees fleeing their homes. 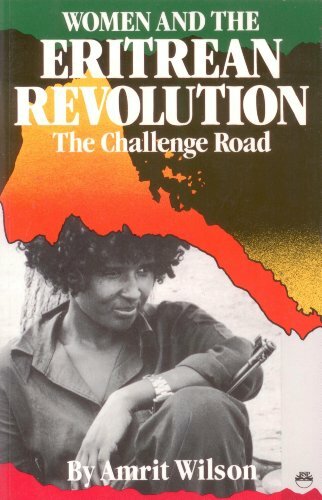 This book describes the course of this long struggle through the lives of women - peasants and pastoralists, student activists and workers from the cities. Women have emerged from a semi-feudal world to participate fully in the fight for liberation, organizing cells, gathering intelligence, carrying out clandestine missions, setting up and running health and education systems and fighting on the front line. In transforming themselves, they have transformed Eritrea. The author has talked to these women, recorded their stories and travelled extensively through the war zones to gather the material for this book. Her previous books include "Finding a Voice: Asian women in Britain" and "US Foreign Policy and Revolution: The Creation of Tanzania".